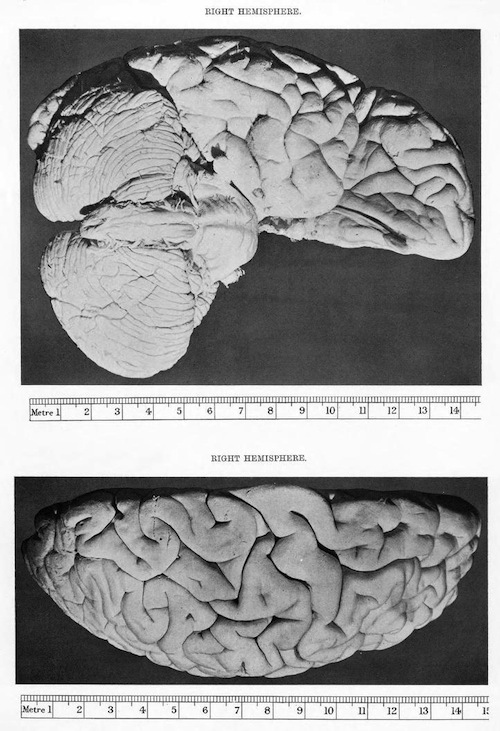 “Description of the Brain of Mr. Charles Babbage, F.R.S”, by V. Horsley in Philosophical Transactions of the Royal Society of London. 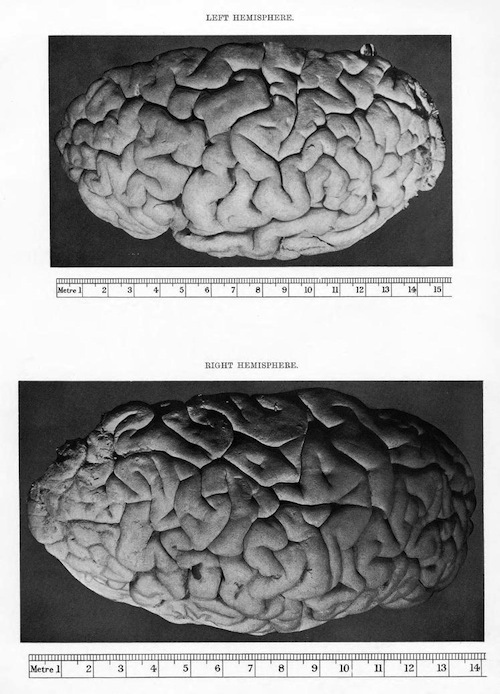 Series B, Containing Papers of a Biological Character (1896-1934); 1909; Royal Society of London. 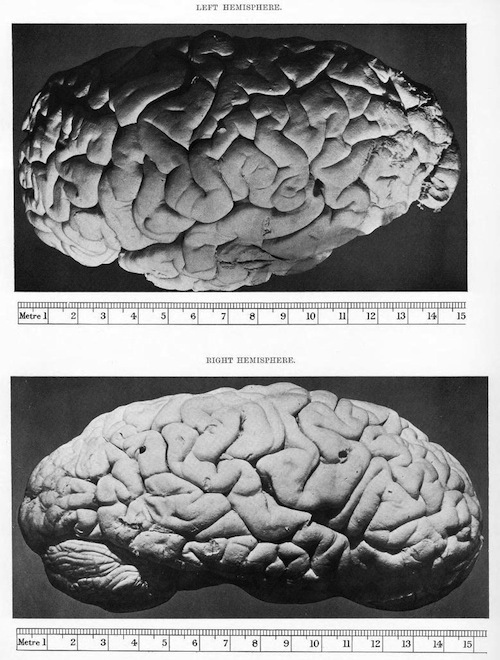 I have no objection…to the idea of preserving the brain…Please therefore do what you consider best…[T]he brain should be known as his, and disposed of in any manner which you consider most conducive to the advancement of human knowledge and the good of the human race. 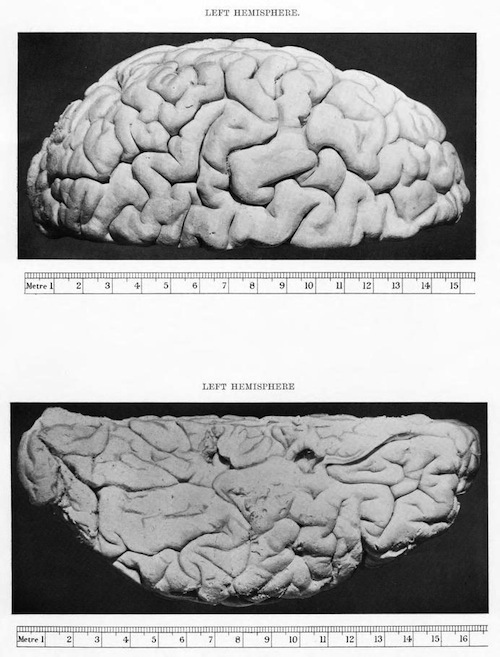 Half of Babbage’s brain is preserved at the Hunterian Museum in the Royal College of Surgeons in London, the other half is on display in the Science Museum in London. 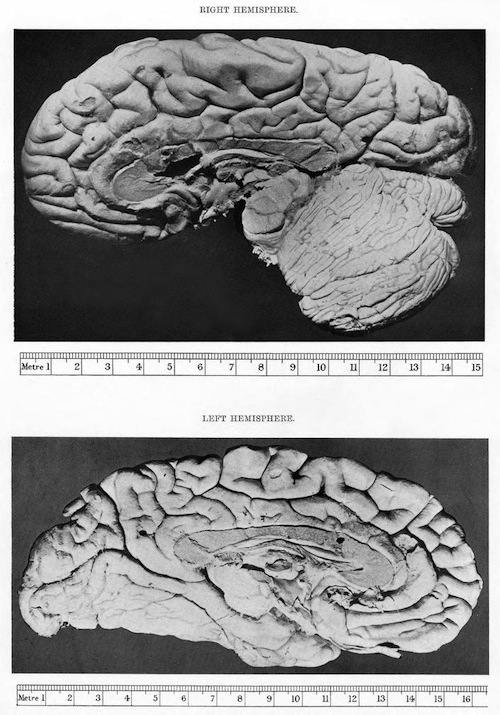 The 1909 article featured here, as well as a wonderfully detailed description of the brain complete with a gloriously dizzy abundance of scientific terms, includes in its latter half a series of photographs of the brain itself. We’ve featured these images below.